The PAX vaporizer is well accepted as a leading player in the dry herb vaporizer space in the UK. Now PAX 3 is out, check out our Pax 3 review. The first PAX although an excellent device did have issues, for example with resin clogging up the vapour track and being difficult to clean, the mouth piece mechanism and there are also reports of scorching the material. The new PAX 2 vaporizer review looks to deal with all the negative issues of the first PAX in a smaller unit but at around £250 is quite a lot more expensive. 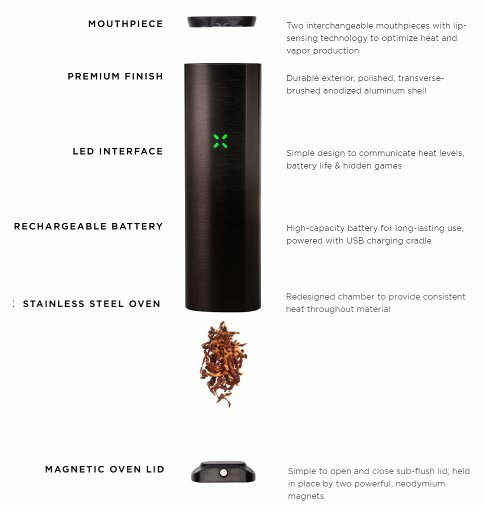 Like the Firefly and a lot of other vaporizers the PAX 2 does have a shortfall – it cant deal with any other material apart from loose leaf/dry herb – this means carrying around 2 separate vaporizers – one for your e Liquid and one for your “other materials” which adds to your overall vape budget and vape suitcase. The Pax 3 at RRP £300 is capable of vaping waxes and oils/concentrates as well as dry herb materials. 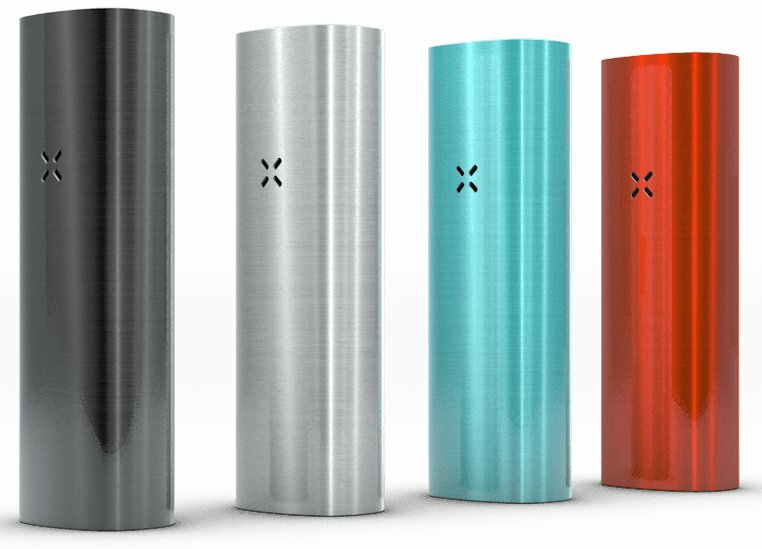 The Pax 2 is around 10% lighter and around 20% smaller than the original PAX vaporizer and comes in four colours blue, black, silver and red. It is easy to slip it into a pocket without being cumbersome so very portable! It has a larger battery capacity but a slightly smaller oven – and has one more temp setting than its predecessor. Like the original it is very nice looking – a well designed device. With one button operation this device does not need you to be a rocket scientist to use. It has automatic cooling, lip and motion sensing to help optimize temperature and power. Like the V2 Pro it too has self-optimising power and temperature with four temperature setting – though taking around a minute heat up time compared to the super-quick Pro 7’s 30 second heat up time. Purple LED = heating up – Green LED = Go – simple. Charge up is via magnetic USB charger and it takes around 3 hours. It comes with some cleaning tools and cleaning alcohol. Maintenance is important to maintain lifespan and optimum vaping performance. One of the things I’m not a fan of is its additional what they call hidden features – not really hidden because they tell you about them and how to activate them. These features are nothing to do with vaping and include some games – for example the “Simon” game – lights come on in a certain sequence and you have to correctly repeat the sequence – with the game getting harder as you get better at it. All of which consumes battery charge which seems to defeat the object of having motion sensing to preserve much needed power. You can buy simple led games for a fiver if that’s what you want to do, but please don’t put it into my vaporizer and tell me its cool! OK maybe some people love the idea! The PAX 2 In Use. There is no doubt that this is a very good vaporizer offering excellent vaporizing capability, punching well above its weight class. Other PAX Vaporizer Reviews show that it is very effective at what it is supposed to do with a full oven giving 2-4 sessions depending on how you grind and pack your herb. Vaporization of herbs is more efficient than smoking it so it is a less expensive method – more active ingredients is released per gram than smoking it. This gives a more intense experience from a smaller amount of herb. Vaping is also a lot less harsh – a far more mellow experience for the body. The auto sensing is designed to heat up the oven when it detects the mouth piece is in use and cuts power when not in use – this should in theory allow for a longer battery life. Generally the medium temperature setting is advised but you may need to experiment with your particular herb to fine tune. Changing temperature is straight forward using the single input button and will alter how your herb and vapour production is effected. Higher temperature may give more vapour but may not be the most efficient use of your herb. There are not many negatives one can attribute to this portable vaporizer, it does what it is supposed to and it does it very well. The PAX 2 comes with a spare mouth piece which is a different design to its standard one – this gets hot and so is of no real advantage to the user. The price is another issue as you you are paying a premium price arond £250 for a vaporizer that is limited to vape dry herb/loose leaf – no e-liquid or wax/oil option here. 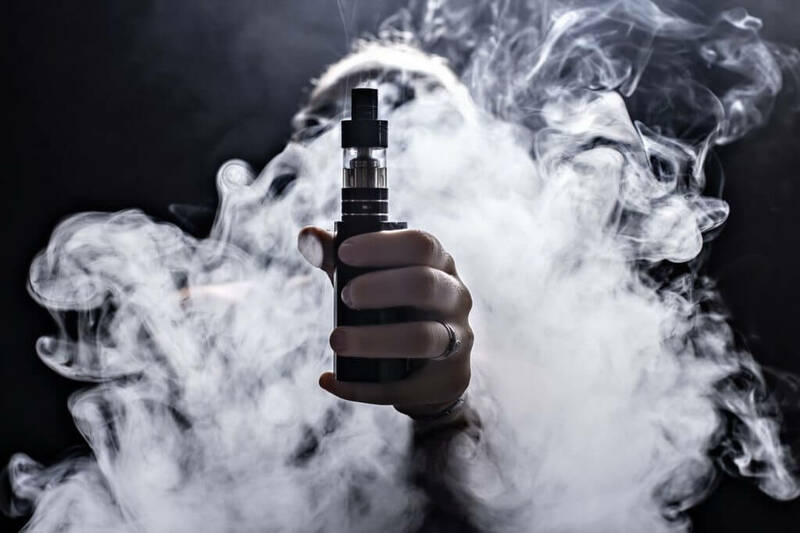 You will need a second device if you vape e Liquids – this all adding to the overall cost of vaping and is a little awkward as you will need to carry 2 devices around with you. The Pro S7 comes in at around £150 and you can use both dry herb and e liquids. The PAX (£250) plus a quality e-liquid vaporizer (£40?) comes out at around £290 – so that is a saving of around £140 – so the PRo 7 is almost half the price of the PAX option + E-liquid vaporizer. That’s a big gap to fill and the S7 is equal to the PAX with respect to vaping dry herb – so for me the PAX simply can’t fill that gap. The PAX 2 is a leader in the portable dry herb vaporizer market, there is no doubt. For those wanting to use a good medical marijuana vaporizer or who don’t vape e liquid this is ideal. Its biggest advantage is its size, there are not many vaporizers out there that do the job this well that are this small. Is it the best dry herb vaporizer on the UK market? No – not to my mind – it can not compete with the V2 Pro Series 7’s versatility – the Pro 7 is one device that does both dry herb and e Liquids brilliantly at almost half the price – in practice using dry herb or loose leaf, both the Pro S7 and PAX 2 vaporizers get you to the same place. So for me the compact and lighter Pro S7 is my best portable vaporizer of choice – I don’t need to carry more than one device for all my vaping needs and it saves me around £140 making the V2 Pro Series 7 the best vaporizer overall. 89% as a dry Herb Vaporizer – but does not compare to the V2 Pro 7’s versatility and ability to vape dry herb, wax AND e-liquid. Check out the Pro Series 7 Review. Note: As with all dry herb vaporizers you need to make sure the material is finely ground down. This improves the efficiency and ensures a better vaping experience. Make sure you clean your carts properly, this will help extend their lifetime. Check out the article on Vaporizers, Lung Function and traditional Cannabis use.